Leading television production company Kudos and The Royal Court Theatre have come together to launch a unique writing fellowship to support emerging writing talent for both theatre and television. Three writers will each be offered a £10,000 ($13,062.4) bursary, funded by Kudos, to enable them to focus purely on their writing for six months, and during this time they will have the opportunity to be supported by The Royal Court Theatre and Kudos. These fellowships are specifically aimed at writers already establishing a writing career, but who perceive barriers in getting their work developed and produced in theatre and television because of class, disability, education, ethnicity, gender identity, geography or any other barrier. The three £10,000 bursaries will support writers for a period of six months from January 2019. During this time, they will be able to challenge and take part in the work of the Royal Court and Kudos. There will also be opportunities to see productions, meet other leading writers in theatre and television and have ongoing artistic conversations with staff at both organisations. Applicants are required to submit a theatre script and additional supporting information including details on why this opportunity would be life-changing by November 16. • One full-length theatre script (70 pages). The submission window is intentionally short as we expect writers will submit an already existing play. • One page on a TV show that has inspired you and why you think it is such an important medium. • One page on why this opportunity would be life-changing. What have been the barriers so far? • A short reference from an artistic colleague in theatre, film or TV who has engaged with their writing. • What are the perceived barriers identified by the writer? • How would this opportunity have a long-term impact on the writer? • What kind of work is the writer excited and inspired by? • How does the play make us see the world in a different way through the writer’s originality of voice, exceptional skill and bold execution of their ideas? All entries will be considered by a team of readers at the Royal Court who will create a long list. These will then be read by a member of the Royal Court’s artistic team who will shortlist 10 writers. 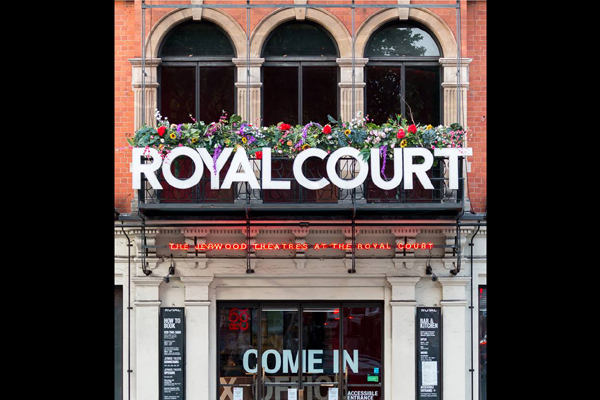 This shortlist will be read by the Royal Court and Kudos teams and each writer will meet with key members of both organisations including Vicky Featherstone (Artistic Director, Royal Court Theatre) and Sarah Stack (Head of Development, Kudos). The final three writers, considered most likely to make a significant contribution to theatre, TV and the cultural life of the UK and beyond, will then be selected.